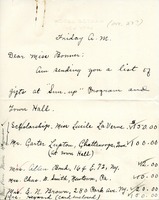 Inez writes to Miss Bonner with the life of Gifts from the Sun-up Program and Town Hall. 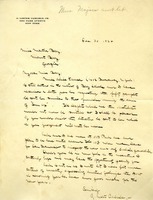 Letter from Madeline Liquori from Washington Irving High School asking for information on the Berry Schools and the mountainers for their studies. Carlisle asks Berry to send pamphlets about the school to Miss Alice Kanser.